There's been some pretty disturbing news about Jolla over the past few days, but the most disturbing thing is how little the company itself said about this before it happened. Jollan viestintäjohtaja Juhani Lassila vahvistaa lomautukset Yle Uutisille. Yrityksen kehittämä tabletti on toimitusaikataulusta myöhässä, eikä Lassila pysty varmaksi lupaamaan sen tulemista. – Se on tavoitteena, muuta en osaa tällä hetkellä sanoa. Rahoitukselliset keinot koitetaan löytää. Jolla's director of communications Juhani Lassila confirmed the temporary layoffs to Yle News. The tablet developed by the company is behind schedule, and Lassila could not confirm whether it would ever be delivered. "It's our aim (to deliver it), but at the moment I can't say anything else. We are trying to find the financial means (to do it)." It's a terrible shame that this is happening, but this is not the worst part of the news. Startups running out of money is to be expected, and even successful entrepreneurs have usually had failed businesses in their past purely because of how difficult it can be to get a new idea off the ground. This is a normal part of life. The worst part is how this situation has been handled by Jolla in relation to the user community, as the community was supposed to be so important to the company and its products. Being unable to deliver or manufacture the tablets because they have run out of money is a completely different narrative to the logisitical difficulties Jolla had told us about last month. Even an update a couple of weeks ago did not mention any financial problems, instead just briefly citing "various factors" and going on to discuss the tablet's app store. While they did issue a press release recently about company lay-offs and debt restructuring, it is couched in very corporate language, and there was no blog post to explain things in plain English. It is difficult to believe that the financial difficulties were a surprise to the company, and it probably explains why key people like co-founder Marc Dillon left earlier in the year. Presumably Jolla chose not to mention the financial difficulties to the community. However, while it's obviously a risk with any startup or crowdfunding campaign that the money might run out, by discussing problems at the factory instead of problems with their bank account, Jolla were setting themselves up to look less than transparent. Jolla's unique selling point was supposed to be the community it had inherited from Nokia's Maemo/Meego project, with lots of former Nokia workers behind the founding of Jolla and fans seeing it as a rebirth of Nokia's best days. This "people power" motif is visible in all its branding and dealings with the outside world, in keeping with the crowdsourced open source software upon which Sailfish is based. But while the community still exists, it has been slowly shrinking with the lack of new devices. If Jolla not only fails to deliver the tablet but also fails to give refunds, it seems likely the community will disown Jolla. In a way it is understandable that Jolla has kept financial problems under wraps. Like any startup they need backers, as the backers can provide a lot more money than any crowdfunding campaign, and backers might have been put off investing if Jolla had publicly aired their concerns about money. However, by keeping quiet about money and only giving unrelated reasons for the Tablet's delays, it risks destroying their image as a new kind of company. If you keep bad news hidden, people will naturally wonder why you chose to hide it. ...whatever happened that brought Jolla to this moment needs to be explained in full detail. Today we aspire towards to as high a level of transparency as possible. As I read all the comments I am beginning to believe that the people behind Jolla fall into the opposite camp. One of dishonesty, bad intentions and incompetence. This is so not what I thought when I read the initial crowd sourcing offering. I am saddened to think that I was so fooled, so mistaken in my initial impressions. So much has happened that is unexplained that it becomes impossible to stay hopeful, maintain belief and trust that, with what is happening in the world today, are such precious commodities. Can Jolla survive this? What happens to Sailfish if it doesn't? Frequently Asked Questions about Jolla smartphones/tablets and the Sailfish OS. We have no connection to the company, but we're basing our information on what has been stated publicly by Jolla and various other unofficial sources. Please post any corrections, queries, comments etc at the end of the article. 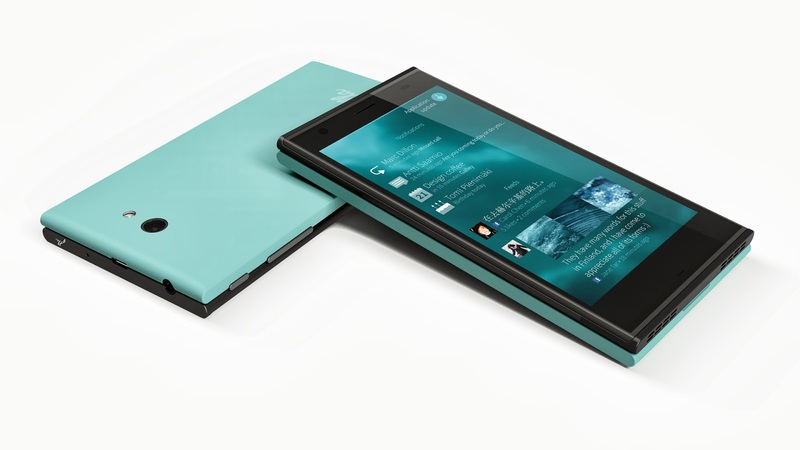 Jolla is a new, independent company based in Finland that makes smartphones and develops mobile operating systems. They released their first smartphone in 2013 and hope to release their first tablet in 2015. It was formed by the core team that created the Nokia N9 smartphone using the MeeGo operating system. See our brief video history of Jolla for a quick look at what led to their founding. Many of Jolla's staff are ex-Nokia, and their products and projects are based on the Maemo/MeeGo platform that was created by Nokia. Jolla's headquarters are in Nokia's old Ruoholahti research centre where Maemo/MeeGo was developed, and it also has offices in Hong Kong. For these reasons as well as many others, a lot of people see Jolla as the spiritual heirs to pre-Windows Nokia. What OS does Jolla run? Is it Android? What does the phone look like? What does the tablet look like? What does the interface look like? Jolla phones and tablets run Sailfish OS, which is an updated version of Nokia's MeeGo platform. You can see the phone in this launch video and the interface in these tutorials. You can see the tablet in this launch video from its crowdfunding appeal. Sailfish is not Android, but the two OSes are both based on Linux and are technically close enough that most Android apps can be made to run on Sailfish phones. The Jolla phone includes stores for both Sailfish and Android apps. Why would I want a Jolla? What makes it different to other phones or tablets? Why would I want the Sailfish OS? Jolla and the Sailfish platform are unique in many ways, and have features that aren't available on other devices. For ordinary non-technical users, Sailfish offers a fluid gesture-based button-free multitasking interface which makes it easier to access all the device's functions quickly. Also, the open nature of the platform means security holes can be found and patched more easily, so the device itself should be more secure in everyday use. On top of all that, there's the very current issue of personal privacy: Jolla is based in Finland, a small neutral country in northern Europe, so the company doesn't have to conform to demands from the NSA or any other large power. Technically-minded users can activate Developer mode, which effectively turns the Jolla into a pocket-sized Linux computer and gives greater access to the OS's inner workings, including control through a command line alongside the graphic interface. The Sailfish OS community encourages direct interaction between users, developers and manufacturers in a way that doesn't really happen with closed platforms, with a consequently faster rate of firmware and software updates. Also, the Other Half concept allows hardware developers and enthusiasts to get involved with the Jolla in a way that other devices don't. Nokia fans who want a new device but don't want Windows might find Jolla a pretty good choice: it's arguably the platform that Nokia would have made if the Microsoft deal had never happened, made by Nokia's pre-deal staff in their pre-deal research centre using their pre-deal OS. How can a small company like Jolla take over from a giant like Nokia? How can they afford to develop the OS and hardware? Jolla is obviously much smaller than Nokia, but they are building on existing OSes, development communities and hardware rather than trying to create everything from scratch. Jolla's Sailfish OS builds on Nokia's MeeGo OS technically, and many people in the open source community who contributed to Nokia's Maemo and MeeGo are now contributing to Jolla's Sailfish. As for the actual devices, because Sailfish runs on stock Android hardware Jolla can leave hardware development to third party commercial manufacturers. As Android devices get better so will Sailfish devices, because they run on the same hardware. What is the first phone made by Jolla? What is the first tablet? You can find out more about the first phones and tablets, simply called "Jolla" and "Jolla Tablet", at jolla.com. Where can I get a Jolla phone? The very first Jolla phone went on sale in Finland on 27th November 2013 at a special event in Helsinki's Narinkkatori. Jollas are now available across the entire European Union, Norway, Switzerland, India and Hong Kong. You can order a Jolla phone directly from the official shop in the EU, Norway and Switzerland. They are availble in India through Snapdeal and in Hong Kong through Three. Where can I get a Jolla Tablet? You can't. Jolla is in financial difficulties right now and has frozen all tablet shipments. People who pre-ordered it have not received it either. What are the Jolla phone's technical specifications? How much does the Jolla phone cost? Unlocked SIM-free and without sales tax or subsidies the Jolla phone's price is 189 euros. The advertised price is 249 euros because that's the price in Finland and includes 24% sales tax. However, you can get the Jolla phone at a reduced price by getting a Combo perk from the Jolla Tablet Indiegogo website. These pre-order offers end on 31st March 2015. What are the Jolla Tablet's technical specifications? How much does the Jolla Tablet cost? The Jolla Tablet's pre-order pre-tax price (for people who didn't take part in the Indiegogo crowdfunding) is €215 for the 32GB model and €241 for the 64GB model. This price doesn't include sales tax / VAT, which depends on which country you are shipping the tablet to, because different countries have different levels of tax. For example the UK price including VAT for the 32GB model is €258.39, which is about £186 at time of writing. What about the software? What kind of apps are available on Jolla devices? Jolla devices run both Sailfish apps and Android apps. Sailfish apps and selected Android apps are sold through the built-in Jolla store. A much larger range of Android apps are also available through the officially supported Aptoide, Anzhi Market and Yandex stores (which can be installed from the Jolla Store's "Marketplaces" section). Unofficially you can also install many other Android app stores including Amazon and Google Play using the phone's Developer mode, but these aren't officially supported so they may not work properly. Here's how to install Google Play and here is how to install the Amazon app store. There are also many other Sailfish apps outside the official store on OpenRepos.net. Apps can also be sideloaded. How can developers submit apps to the Jolla store? Do they have to be Sailfish apps? How much does it cost? Where can developers get the Sailfish SDK? You can submit both Sailfish and Android apps to the Jolla store via the Jolla Harbour site. App submissions are free. You can get the Sailfish SDK from SailfishOS.org. Who is providing the sat nav on Jolla devices? Maps are provided by HERE (formerly known as Nokia Maps), the same company that provided it on the N9. There's no official turn-by-turn navigation app, but that is apparently in development. What's the point of the "Other Half"? What makes it different to ordinary replaceable covers? The Other Half that comes with the Jolla is basically a plastic cover with an NFC chip inside it that customises the look of the user interface. If you change the Jolla's cover, the look of the phone's interface changes with it. However, that's not the whole story! The Other Half also includes both power and data connections which link it to the phone, and allow it to act as a hardware extension or peripheral. In theory a stack of multiple Other Halves could be connected to a single Jolla phone like a deck of cards. So far Jolla have released a couple of official Other Halves which mainly focus on the styling of the phone and interface, but a lot of more advanced accessories are also technically possible. There's a discussion thread of Other Half suggestions over on maemo.org. There's also a thread dedicated to building an OH-based QWERTY physical keyboard. Jolla have also published the official Other Half development kit (including physical OH models) so that anyone can make their own Other Half, and you can also download an unofficial OH model here. Can I install Sailfish OS on Android devices? Yes, but it is a bit tricky. For example, here's a step-by-step guide for installing Sailfish on the Nexus 5 over on Jolla Users. Is Jolla owned by Nokia? No, it's an independent and totally separate company with its own investors, its own workforce and its own distribution deals. However, the people who founded it used to work for Nokia until very recently, the MeeGo platform was originally developed by Nokia, and Jolla has its headquarters in Nokia's former research centre in Finland, so there are obviously some very significant historical and technological links. Will Nokia's deal with Microsoft affect Jolla? No. Jolla is an independent company with independent technology based on open source code, and has no connection to Microsoft or Nokia. Has Jolla signed any deals yet? Yes, they have, for example with China's largest phone retailer, India's Snapdeal, Hong Kong's Three and Finland's network operator DNA. Does Jolla have a website? They also have an official questions and feature request sub-site at together.jolla.com, an extremely active and responsive Twitter channel, a Facebook page, a Linkedin page and a YouTube channel. There are various unofficial sites such as Jolla Tides, and you can see a list of fansites at Jolla Communities. The Jolla Wikipedia entry is also a very detailed starting point. The OpenRepos.net website is a treasuretrove of Sailfish apps which have not yet made it into the official store. For the more technically-minded, a pretty good place to discuss Jolla and Sailfish is over on talk.maemo.org, which has been the backbone of the Maemo/MeeGo community over the past eight years. You can discuss the Jolla phone itself on the Jolla & Other Half forum and the Sailfish OS on the Sailfish forum. Is the company called "Jolla" or "Jolla Mobile"? It's a Finnish word meaning a small boat or dinghy. Some people see the company as a "lifeboat" for developers at Nokia who wanted to continue their work on MeeGo. The lifeboat metaphor is especially apt in many people's minds due to Elop's infamous "burning platform" speech, which preceeded Nokia selling itself over entirely to Windows. How do you pronounce "Jolla"? The pronunciation in English is roughly "Yol - lah". The letter "j" in Finnish is pronounced somewhat like a "y" or "i" in English. Does Jolla have any connection to La Jolla in California? Can I run Sailfish on the Nokia N9? Officially, no, Jolla are not allowed to support the N9 as it was made by Nokia. Jolla is a totally separate company. Unofficially, yes, Sailfish can be installed and you can see a video of Sailfish running on an N9 here. However it doesn't run perfectly, for example the Android compatibility doesn't work on an N9 yet. Do Jolla's devices use the Swipe user interface seen on the N9? It's not exactly the same, but Jolla's own interface is broadly similar. It's a Linux-based operating system for smartphones and other mobile devices. It was jointly developed by Nokia, Intel and the open source community, and derives from an earlier Nokia project called Maemo (which formed the basis of the Nokia N900, N810, N800 and 770). It also traces its history to an Intel project called Moblin. It was originally intended to be on phones, tablets, computers and embedded in cars, but Nokia's premature abandonment of the platform meant it never got further than the N9 smartphone. Why isn't Nokia going to make more MeeGo phones? For various reasons which are still slightly unclear, in early 2011 Nokia decided to sign an exclusivity deal with Microsoft that only allows them to make Windows-based phones for the next few years. The deal was signed before the first MeeGo device had been released, so it effectively killed Nokia's MeeGo unit before it was ever given a chance to prove itself. Did Nokia give Jolla their patents covering MeeGo? Apparently not. MeeGo is an open source operating system, so in theory anyone can make a MeeGo-based phone without asking permission or paying royalties. The actual situation is slightly more complicated, the Nokia N9 smartphone also contained some non-open elements which Nokia still controls, and Jolla has had to create their own substitutes for these (the so-called "special sauce"). Did the N9 sell well? Nokia refuses to say, but according to unofficial sources it appears that despite all the difficulties it did sell quite well. It got excellent reviews too, the best Nokia had received in many years. Is the N9 still on sale? No, but there may still be some available on the internet. Nokia's shareholders recently approved the sale of their phone-making unit to Microsoft, but the rest of the company (including the Nokia brand itself) was not part of this deal, so Nokia Lumia devices will become Microsoft Lumia devices once the sale process is completed. However, as noted in a previous article on this site, the terms of the deal have two extra bits of small print: Nokia cannot use their own brand on smartphones until 2016, and Microsoft has permission to use the Nokia brand on feature (non-smart) phones until 2024. This brings up an interesting possible scenario for the period 2016 to 2024: two competing sets of incompatible Nokia-branded phones made by two totally separate companies on sale simultaneously. Quite how consumers would react to this would be interesting to say the least. These phones would be made by Nokia, the Finnish company which owns the Nokia brand and currently consists of NSN Networks, HERE Maps and a patent management division. There is nothing to stop it getting back into making phones and smartphones (quite possibly by buying Jolla, which is why this article is on this site), and from 2016 onwards there would be nothing to stop them making smartphones again using the Nokia brand. They would also no longer be bound by any commitment to the Windows Phone platform, and considering the disaster that it brought upon the company it seems likely they would avoid it like the plague. Their options for non-Windows devices are explored in the article mentioned above. These phones would be made by Microsoft, the American company which owns the Lumia and Asha brands and currently consists of both the current Microsoft company and the former phone-making division of Nokia. They would not be allowed to use the Nokia name on their smartphones because they do not own the brand, but thanks to their licence from 2014 - 2024 they would be allowed to have the Nokia brand on their non-smart phones. It was assumed by most that this would mean Microsoft producing cheap Asha devices which run Nokia's old Series 40 proprietary platform, but the recent leaks about devices codenamed "Normandy" coupled with those same leaks' Windows-esque stylings bring up another and very bizarre possibility: Microsoft could be releasing Nokia-branded phones based on some kind of crippled Android fork dressed up to look like Windows (they would have to be crippled in order to comply with the legal terms of their licence to use the Nokia brand). If this is the case, presumably MS see this as cheaper than maintaining the Asha Series 40 OS, but it still seems an odd and embarassing move by Microsoft, effectively conceding that Android is a better platform for low-end devices. It also runs the risk that people upgrading from those devices would just go to a higher end Android phone instead of Windows. Although a "Nokia vs Nokia" confrontation would be an interesting one, it's almost impossible to know if it will happen and what would happen if it did, because the mobile landscape is likely to change radically both leading up to 2014 and beyond. Part of the outcome would depend on how relevant the non-smart feature phone market is by 2016. Smartphones are occupying an ever-increasing share of the market even in developing countries, and it could be that the market for feature phones will simply disappear by then. However, why did Microsoft buy a 10 year feature phone licence if they felt it had no value? Was this just a mistake by Microsoft, or do they think feature phones will continue to be a going concern for the next ten years, or do they have some devious plan to actually somehow sell Nokia-branded smartphones without technically breaching the licence terms? Or was Nokia just trying to sweeten the deal while avoiding selling the more lucrative smartphone brand rights? There are also many reasons to think that other events would intervene before 2016, preventing such a head-to-head from ever taking place. Windows Phone's future is still in the balance with a global market share of about 3% after several years and literally billions spent on marketing and development. Perhaps the most salient question is what will happen to the Lumia range (which now accounts for almost all WP sales) after it no longer carries the Nokia name, something that will happen from 2014 onwards. If significant numbers of people abandon Lumia, then the entire future of Microsoft's presence in the mobile market would be called into doubt before 2016, and the head to head would never happen. As for Nokia's near future, on one level they seem to have given up on phones by selling their phone-making division. But if that's really the case, why did they hang on to what is essentially a consumer-oriented phone brand? Neither HERE Maps nor NSN nor the patent division have any need for the Nokia brand so why did Nokia keep it? They must intend to do something with it, and the thing that would make the most sense for such a brand would be smartphones of some kind. Maybe the weirdest plausible scenario would be this: Windows-based Lumia sales decline due to the removal of Nokia branding, but Android-based Asha sales increase due to it being the first Nokia-branded Android phone. That might lead Microsoft to abandon its own OS in favour of adopting a competitor's, which was exactly the fate they forced upon Nokia just a few years ago. Although Jolla is a new company making a new product, in many people's eyes they are the true heir to Nokia, continuing the work that Nokia abandoned when it drank the Windows kool-aid. Now Nokia has apparently purged Windows from its system by selling the phones unit, it's very tempting for fans of the old Nokia to believe they could decide to get back into smartphones by investing in or even buying Jolla: it would arguably see the old company restored to the path it was supposed to take in the first place, while also promoting a platform that deserves a proper second chance. Maybe that's just wishful thinking, maybe it's not realistic, maybe Nokia has changed so much internally that it's not even a desirable scenario any more. However, we can always hope, and perhaps the next couple of years will see some very interesting things happen. So, Nokia's phone and smartphone division has now been officially sold to Microsoft, and many are assuming this is the final end for Nokia as a phone maker. Microsoft has agreed to a 10 year license arrangement with Nokia to use the Nokia brand on current Mobile Phones products [i.e. on Asha feature phones, not on Lumia smartphones]. Nokia will continue to own and maintain the Nokia brand. Under the terms of the transaction, Microsoft has agreed to a 10 year license arrangement with Nokia to use the Nokia brand on current and subsequently developed products based on the Series 30 and Series 40 operating systems. Upon the closing of the transaction, Nokia would be restricted from licensing the Nokia brand for use in connection with mobile device sales for 30 months and from using the Nokia brand on Nokia's own mobile devices until December 31, 2015. 1. Retain the Nokia brand name, Microsoft has not bought the name at all, so Nokia Lumias will now become Microsoft Lumias (which, incidentally, might explain why "LUMIA" was always written bigger than "Nokia" on the adverts). 2. This independent Nokia will be able to use the Nokia brand name on its own phones (including phones running Sailfish, Android or any other OS they choose) from 1st January 2016. ...and this is pretty much what the terms of Nokia's 2011 Windows exclusivity deal stated anyway. In effect, what's left of Nokia has asked for some cash in exchange for getting rid of their loss-making phones division. If the independent company Nokia (which now just does network equipment and mapping services) can stay afloat for the next few years, they will be able to start selling Nokia-branded smartphones from January 1st 2016 onwards without any links to Microsoft whatsoever. And, as long as they're not sold under the Nokia brand before 2016, they could start developing and making phones right away. Is this Nokia's fabled "Plan B"? Letting Microsoft have the phones division so they could eventually have another shot at making smartphones independently? Seems a heck of a price to pay, but if that's what they have in mind then it would make sense for what's left of Nokia to start working on rebuilding their phones division right now. To put it in really simple terms, here's three ways we may see the Nokia brand back on smartphones (and they would almost certainly be non-Windows smartphones, possibly Sailfish). All of these plans depend on Nokia's brand having some kind of residual value after two years absence from the smartphone market, which is possible if Nokia can keep its name visible in consumer products such as its mapping service or other products (other services or even non-mobile devices). These plans also depend on Nokia's leadership having vision and strength to see a long-term plan through, and having a desire to be in the smartphone business. This is maybe the biggest stumbling block as Nokia's leadership's lack of vision over the past 5+ years is what caused its downfall in the first place. However, perhaps things will change. 2013 - 2015: Nokia (what's left of it, i.e. the networks and mapping divisions) gradually starts up a brand new phones division from scratch, possibly based on Android (or maybe even Sailfish?). Its devices cannot be released under the Nokia brand, but the division itself can exist and the devices can be released under other brands. Mid - Late 2015: Nokia announces that it is releasing a Nokia-branded smartphone when the rights revert to it in 2016. 1st January 2016: The first new Nokia-branded smartphone since 2013 is launched. 2013 - 2015: Nokia carries on as a Networks and Mapping company, but at some point purchases Jolla. Jolla carries on as before, releasing Sailfish devices under the Jolla brand, and Nokia's cash is enough to help it get established. Mid - Late 2015: Nokia announces that Jolla's latest device will be released under the Nokia brand when the rights revert in 2016. 1st January 2016: The first Nokia-branded SailfishOS device (the Nokia Jolla?) is released, returning Nokia to the path it departed from in 2011. 2013 - 2015: Nokia carries on as a Networks and Mapping company, but at some point licenses the post-2016 smartphone rights to an existing manufacturer, probably a company that isn't doing too well under its own brand (difficult to predict at this stage, but someone like LG?). 1st January 2016: The first Nokia-in-name-only smartphone is released, with both design and manufacturing done entirely outside Nokia. ...so, that's how Nokia could now come back to phones. Will it? It's difficult to tell, the people running the company over the past five years don't appear to have shown much interest in long-term strategy over short-term spreadsheet-based tactics. If this really is the end for Nokia as a phone maker, we can only hope that the platform openness they once championed manages to live on through companies like Jolla. In the end, however much sentimental value a brand has, it's the spirit behind it that matters. Tiny but interesting little snippet of news, Jolla's new Ruoholahti headquarters in Helsinki are in the same building Nokia used as its Maemo/MeeGo research centre until it abandoned the platform. It seems that Jolla is becoming more and more like a parallel universe Nokia that stuck with MeeGo instead of switching to Windows Phone. The video above provides a very very short history of how Jolla came to be, and is aimed at a general audience who have probably never heard of Maemo, MeeGo or anything connected to them. The main idea is to help spread the word about Jolla, and to communicate that they're not just another smartphone manufacturer. In 2005, Nokia began the Maemo project to create a new kind of pocket touchscreen computer. Maemo eventually fused with Intel's Moblin to create MeeGo, an elegant and open mobile operating system. However, Nokia only released one MeeGo-based device (the sublime and very well-reviewed N9) before a controversial change in policy made them switch exclusively to Windows Phone. Fortunately, some ex-Nokia staff decided to continue the good work done so far, founding a plucky new company called called Jolla and developing MeeGo into a new platform known as Sailfish. Following Jolla is an unofficial look at Jolla's progress. Content (c) 2012 Following Jolla. Simple theme. Powered by Blogger.